WORKING in a government office in heart of Lutyen's Delhi? In a few years' time, you may end up boarding a vehicle going towards National Capital Region (NCR) or even Counter Magnet Areas (CMA) outside the NCR. The NCR comprises places such as Noida, Greater Noida, Ghaziabad, Faridabad, Gurgaon etc. According to a reply to a Lok Sabha question, minister of state for urban development Saugata Roy said on Friday that 11 government offices were already identified for shifting outside Delhi, of which three were already shifted, one has been abolished and another retained. Also, offices of 36 PSUs will also be shifted outside Delhi. 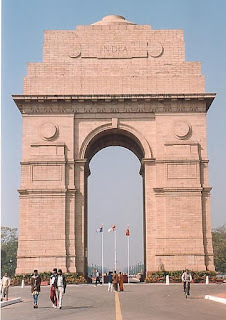 According to the minister, the Regional Plans-2001 & 2021 notified by the National Capital Region Planning Board provide that the public sector offices should be allowed to retain only very small establishments to cater for ministerial and liaison functions, and the rest of the establishments should be shifted out of the National Capital Territory (NCT) of Delhi. For government offices, the main criterion for location of the offices in the NCT of Delhi must be that they perform ministerial functions, protocol functions or liaison functions which, by their nature cannot be performed anywhere except in the National Capital, the reply in the Lok Sabha added. The minister, however, said that no time-frame was fixed for shifting of the identified offices, as the process is subject to a number of factors such as availability of land, construction of office buildings etc. 15743 Central govt employees on waiting list for accommodation As high as 15,743 Central government employees are in the waiting list of allotment for government accommodation as on December 7, 2009. According to statistics given in Parliament, there are 204 officers waiting to get Type 7 quarters whereas there are 200 employees waiting for Type 8 accommodation. For Type 6A and 6B, the number of employees in waiting list are 564 and 207 respectively. For 5A and 5B, the number of wait-listed employees is substantially higher at 1534 and 1360 respectively. The information was provided by Saugata Roy, minister of state for urban development in a reply to a question by Maheshwar Hazari in Lok Sabha on Friday.